Hi, I'm Lisa Pennisi and I am a human dimensions specialist in the applied ecology faculty area of the School of Natural Resources. I use social science to research ways to reduce human impacts on natural resources, and to improve natural resource management. Whether through survey research, environmental education, communications, or nature-based tourism and recreation, I measure and explore how to influence conservation behavior through knowledge, attitudes, values, and connection to nature. My research has included developing a scale to measure people's connection to nature, the impact of wildlife watching, measuring attitudes toward bats, leadership issues, exploring visitors' connection to nature and using benefits-based management for outdoor recreation. Lisa conducting a visitor survey at a bat watching site. My interest in environmentally responsible behavior lies in developing educational programs and communication messages that will successfully lead to desired behaviors. Encouraging desired behaviors such as water conservation, defensible space for fire management, and habitat management can be more effective when studying and applying successful communication and education techniques. I have also conducted visitor studies looking at visitor motivations, attitudes, connection to nature and the impact of visitor programs on learning. 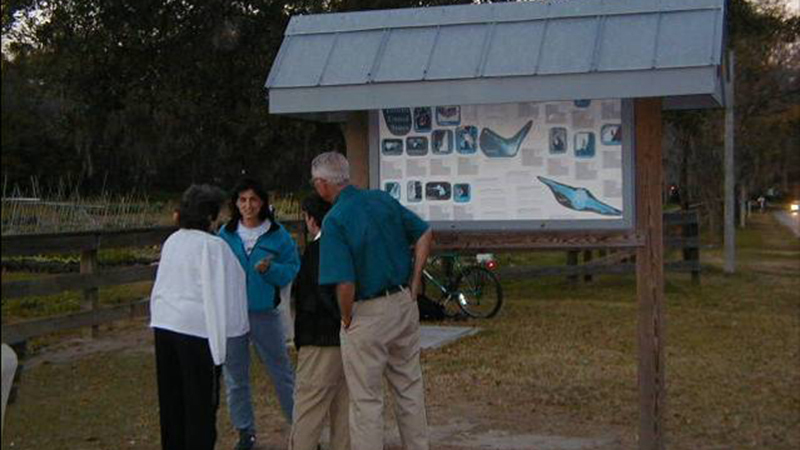 Non-compliant visitor behavior is a related area where research is used to encourage appropriate behavior, such as staying on designated trails and not littering. I teach Environmental Education; Environmental Communications; Natural Resources Recreation and Tourism; and Individual and Cultural Perspectives on the Environment. As an environmental educator, I use experiential and service learning to give students the opportunity to learn while doing. I am always looking for "real world" projects for students to work on, giving students the opportunity to creatively and critically think through the process. My appointment includes extension, applying research to benefit Nebraskans. Through extension, human dimensions work encourages people to understand, engage and make informed decisions about natural resource issues. I work to help outreach efforts for SNR at Nine-Mile Prairie, Prairie Pines and through the Nebraska Master Naturalist program. My outreach efforts also include helping others develop ecotourism and agritourism in Nebraska. This includes developing master plans, exhibits, programs and materials, and wildlife watching activities that encourage conservation and enhance visitor experiences. It also includes the development and assessment of natural resource educational and communications programs. I received my doctorate from the University of Florida in natural resources recreation and tourism with minors in research/evaluation methodology and forest conservation. I have more than 10 years of experience as a naturalist and educator, including starting and managing the Daggerwing Nature Center for Palm Beach County Parks and Recreation, teaching high school science at the Cincinnati Zoo School, and working as a naturalist at the Cincinnati Nature Center and Long Branch Farm. I have also been involved in wildlife rehabilitation for 20 years, solely as an effective means of educating people about wildlife, especially misunderstood wildlife. Often when people are provided the opportunity to see an animal up close, such as a bat or snake, wonderful learning opportunities take place. Fear decreases, learning, appreciation and connection increase, and conservation behavior is inspired. Hoffman Babbit, C., Burbach, M., Pennisi, L. (2015). A mixed methods approach to assessing success in transitioning water management institutions: A case study of the Platte River Basin, Nebraska. Ecology & Society, 20(1), 54. Activities and games will help visitors better understand Nebraska's rich natural resources and ways to help protect them through discovery and hands-on activities at stations staffed by the school's faculty, staff, graduate and undergraduate students.